Q. If clients can find us on the web, why do we need an Email Marketing programme? A. Email marketing is useful for securing potential clients who've expressed an interest in your products or services. It's also ideal for keeping existing customers informed of new products and building a long-term relationship with them. Q. Why is Internet marketing important? A. As with any marketing, the aim is to bring in as many sales as possible. Nowadays, the Internet is more accessible and popular than any other form of media, so not targeting such a broad audience would be a grave mistake. Q. Why can't I do my own Internet Marketing? A. It's time-consuming and usually much less effective without specialist know-how. However, by partnering our resources and expertise with your own knowledge, we can create a cost-effective Internet marketing programme, whilst leaving you free to concentrate on your core business. Q. Won't our marketing emails just be deleted as 'spam' before they've ever been read? A. Of course random mail-outs or badly targeted emails will probably be classified as 'spam' by the recipient or by their junk mail filter. However, well-managed and specifically directed and requested emails should be relevant to the recipient and therefore lead to a high conversion rate. Q. Why is an Error 404 Page beneficial to my site? A. A site with its own 404 Error Page will look very professional. It informs the visitor that there is a problem and can give them contact details to inform you of such problems. It will also be registered in your log files and enable you to see what pages are missing on your site so you could put in redirects. This will make the site very user friendly and encourage people to continue visiting. Q. 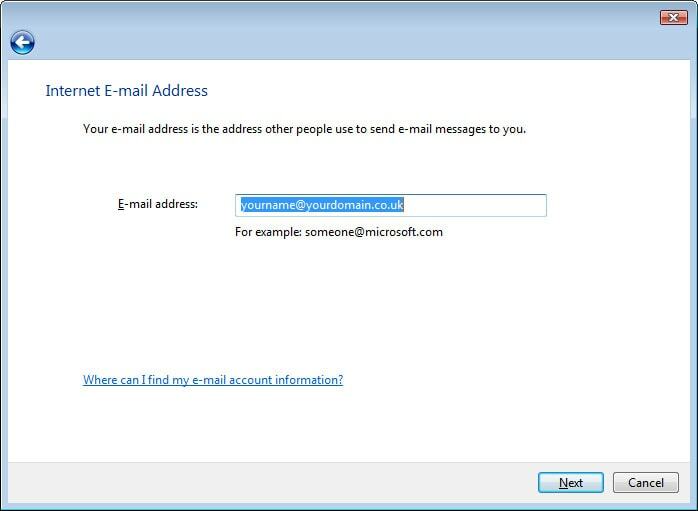 How do I configure my new email account with Outlook Express? A. 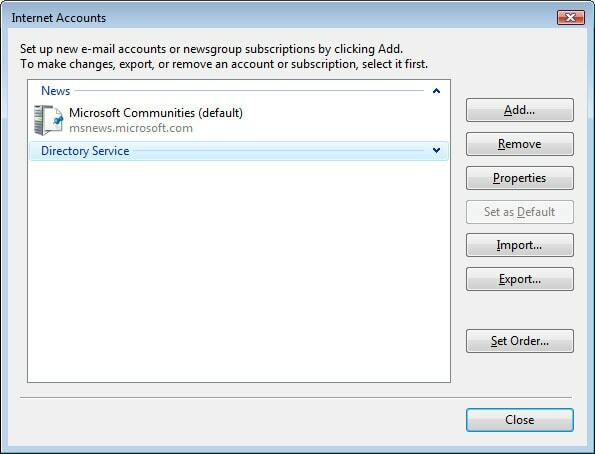 To setup Outlook Express to work with your mail account please follow these instructions. 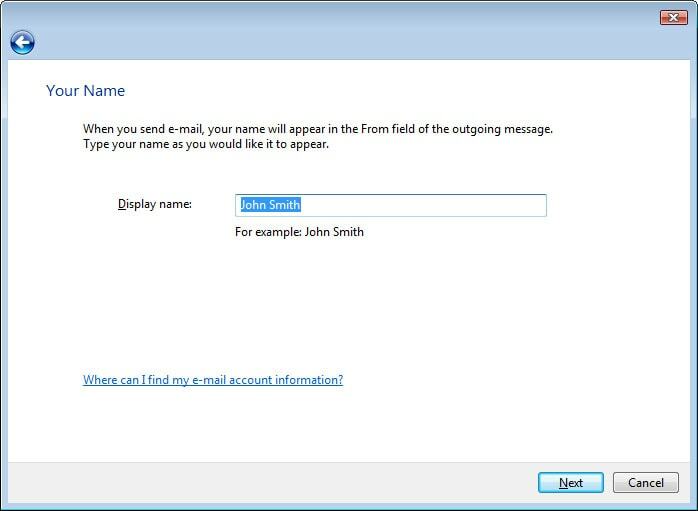 Enter your name as you would like it to appear to people who receive emails from you. Then click 'Next'. 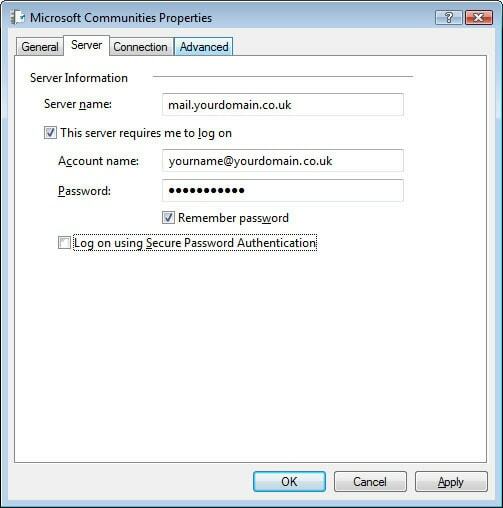 Enter the email address that you want to use and that you have set up with . Then click 'Next'. Now you need to enter your incoming and outgoing servers. For the incoming server you should enter mail. 'yourdomain.com' – substituting your own domain name for yourdomain.com. 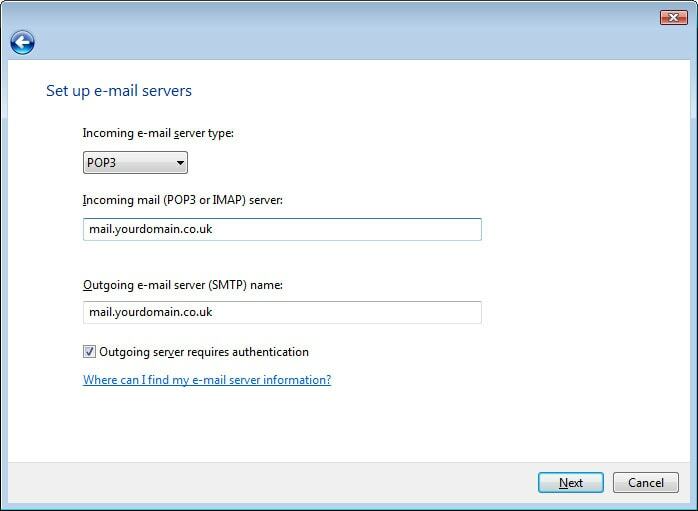 For the outgoing mail server you should enter mail. 'yourdomain.com' as before. Then click Next. 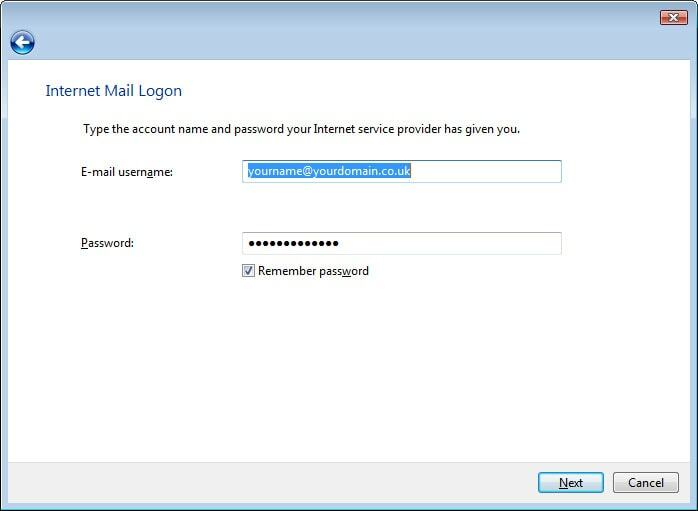 To allow you to send mail through our mail server you now need to make a small change to the properties of the account. 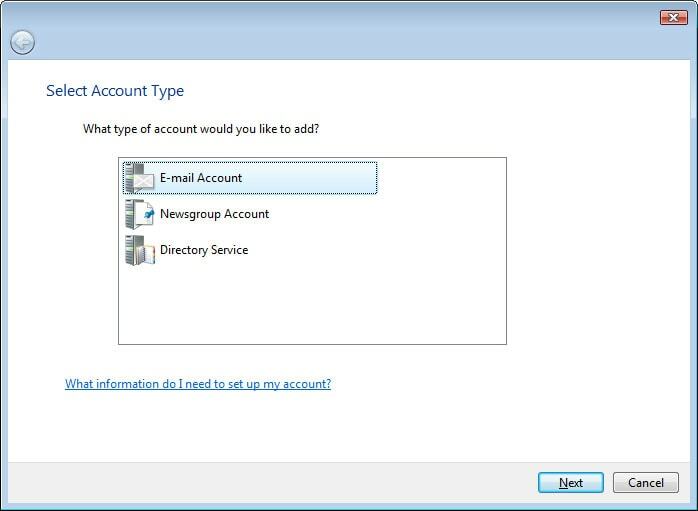 Select 'Properties' from the 'Accounts' window. A. On the menu bar click Mail, then Preferences, the Accounts and finally click the plus at the bottom right. Q. Why should I have a sitemap? Q. What is a Robots.txt and why is it important?